Freedom from Tuition Day is a chance for Gustavus students to celebrate and thank the thousands of alumni and friends of the College who give to the Gustavus Annual Fund and the endowment. Student tuition accounts for approximately 55% of the College’s operating budget, but 90% of Gustie students receive some sort of financial assistance through donor support. 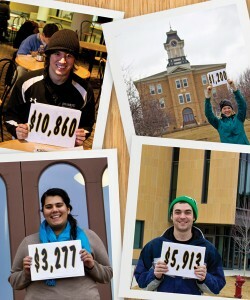 The last 48 days of the academic year are “tuition free” thanks to these gifts.